No matter what type of wedding you are planning — big, small, or somewhere in between — one thing is certain, you want it to be memorable. Whether you are inviting all your friends and family to wine country in California or having a humble backyard barbecue, it is one of the biggest, most exciting events of your life. When we’re talking memorable, we don’t just mean memorable for you — you want your friends and family members to fondly remember the occasion for a long, long time to come. There are plenty of details that need deciding upon during the planning phase. And while they may seem drastically important at the time, most people aren’t going to remember the colour of the table cloths or the exact flowers in the centerpieces. They are going to remember how it felt to watch you marry your partner, and how much fun they had. Nonetheless, you still want every detail to be special. 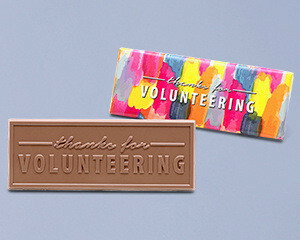 And one of the ways you can stand out from the crowd is by… bringing chocolate into it! (You probably guessed we were going to say that.) 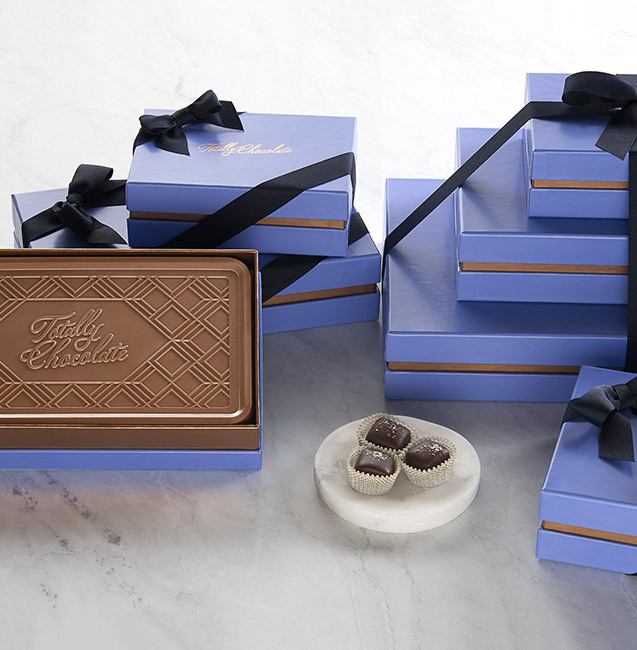 How and why, you might ask, are you supposed to bring chocolate into your perfectly perfect wedding day? We’re so glad you asked! 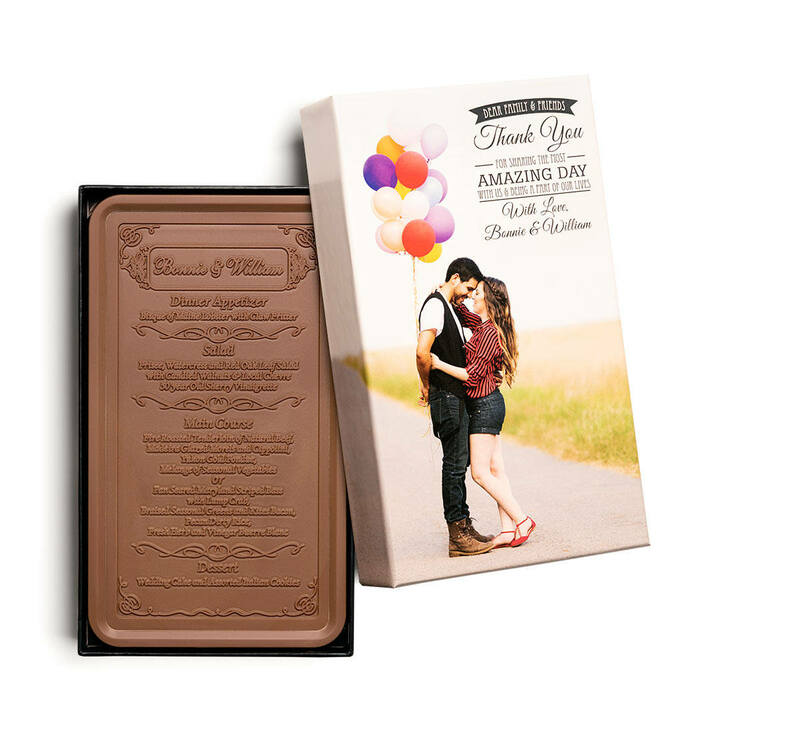 We have helped hundreds of brides and grooms bring that something extra special to the table in the form of personalized wedding chocolates. And we’ve got a few suggestions on how to bring this idea to life. You know the feeling when you attend some weddings and are excited about all the things you are going to get to eat and drink, and the people you are going to get to visit with? 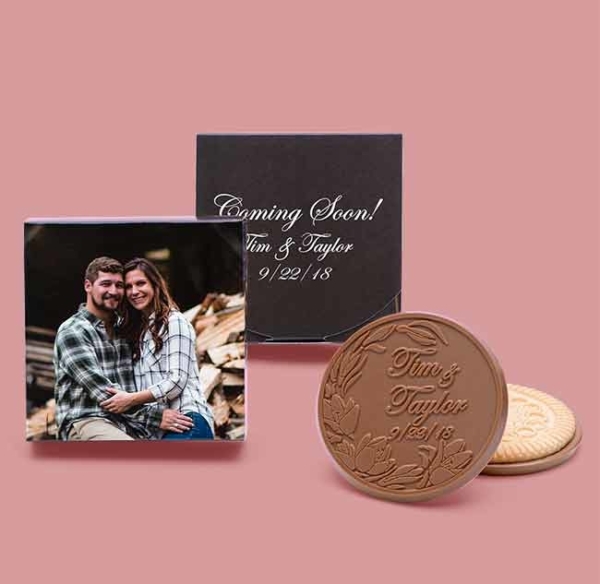 You also might secretly be looking forward to what kind of wedding favor the couple has come up with that you get to take home with you. 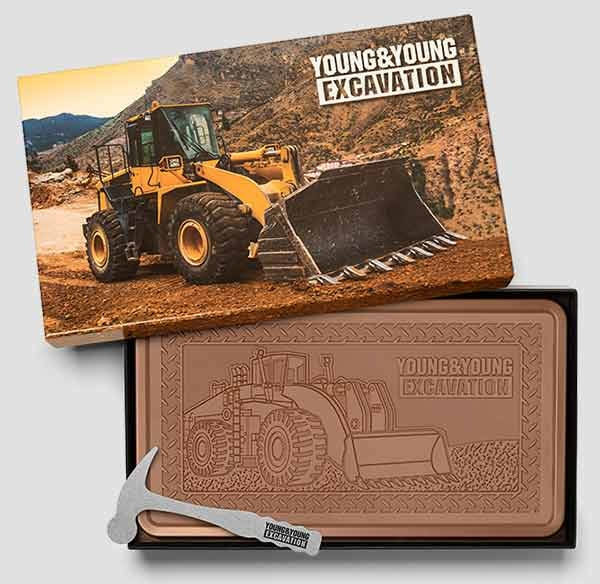 Only, to your (also secret) disappointment, you are left with a magnet or a decorative plate or something that you know is going to end up in your junk drawer. It doesn’t have to be that way! 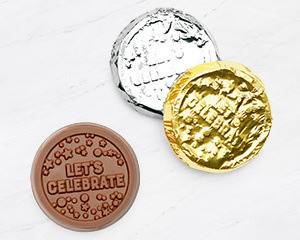 Personalized chocolate wedding favors are a unique (and delicious) alternative that is charming, classy, fun and chic all at once. 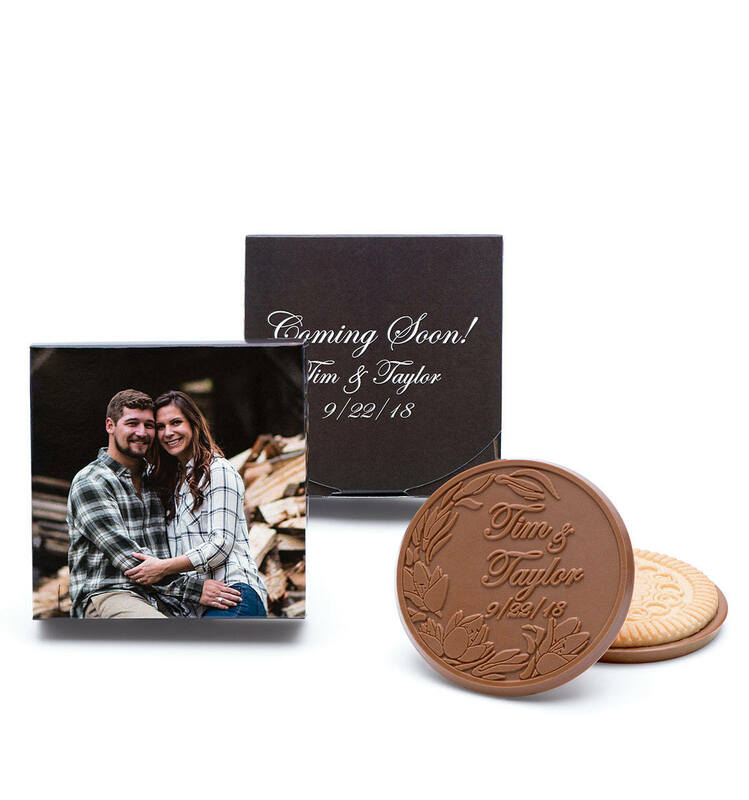 At Totally Chocolate, we have made a huge range of unique, personalized wedding favors over the years. There are so many things we can customize, and in so many ways! For example, we can custom engrave the wedding date, a special quote or poem, or even a photo of the happy couple. 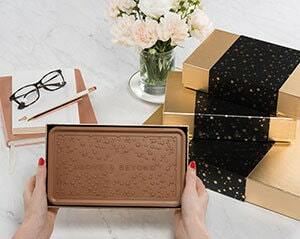 We can make custom boxes with a couple of chocolates or cookies inside each for every guest that attends, or we can engrave bars of delicious, high quality chocolate that can rest across each plate. 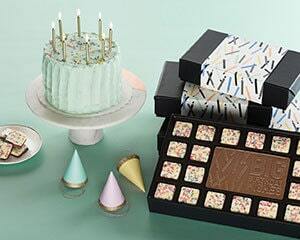 Careful though — there’s a good chance the chocolate won’t make it past the first course at dinner! 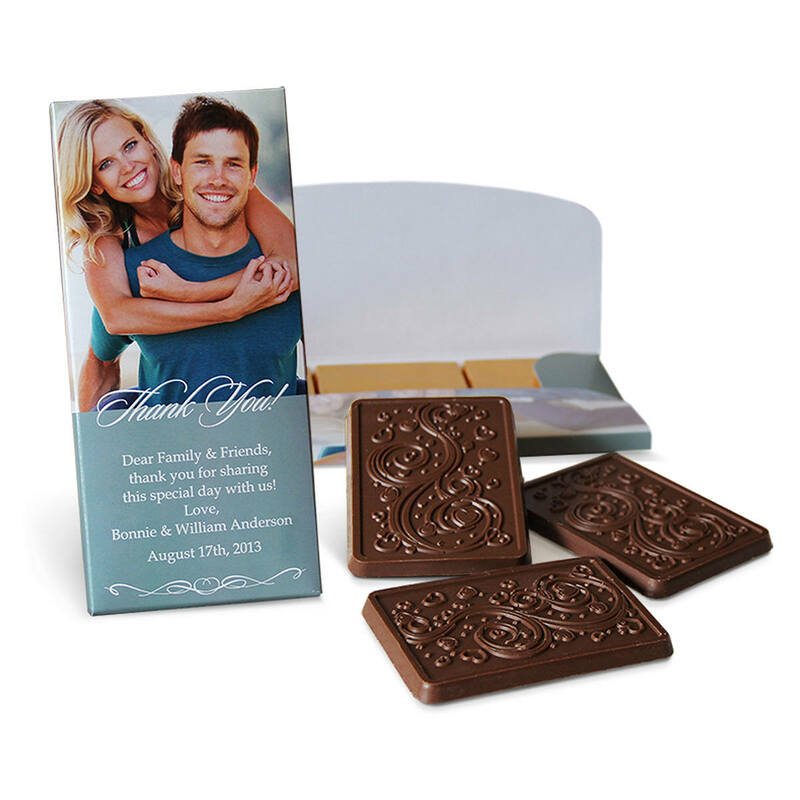 When we first started getting requests for chocolate wedding invitations and save the dates, we were thrilled! What an amazing idea and we were certainly up for the challenge. 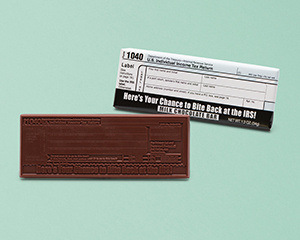 You might be thinking that this chocolate invites or save the dates are bound to melt before they can be made use of, but don’t worry, we’ve thought of that, too. We will come up with a plan and a design that can incorporate paper components as well. We don’t really think that there’s much of a chance of the chocolate melting, because there is a very high probability that they will get eaten in the meantime. 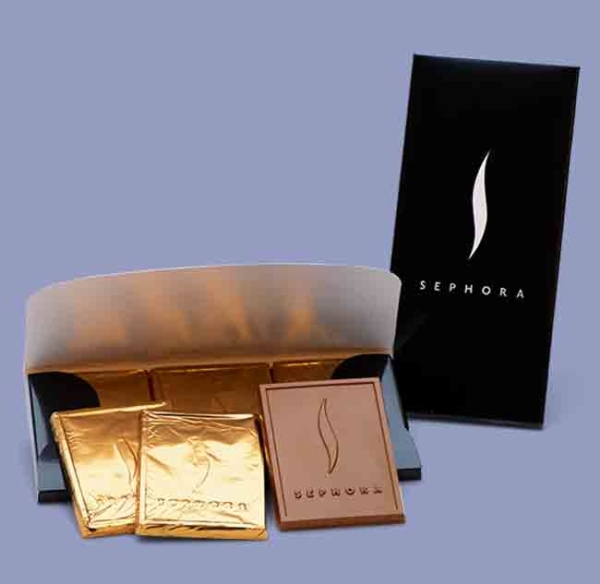 And don’t worry, our professional shipping options are guaranteed to get you your chocolate in one solid state. 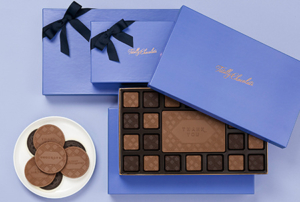 At Totally Chocolate, we value our customers above anything else… although quality comes a very close second. We want to make our customers’ dreams come true, and that’s why we work closely with our clients if they have something special in mind. 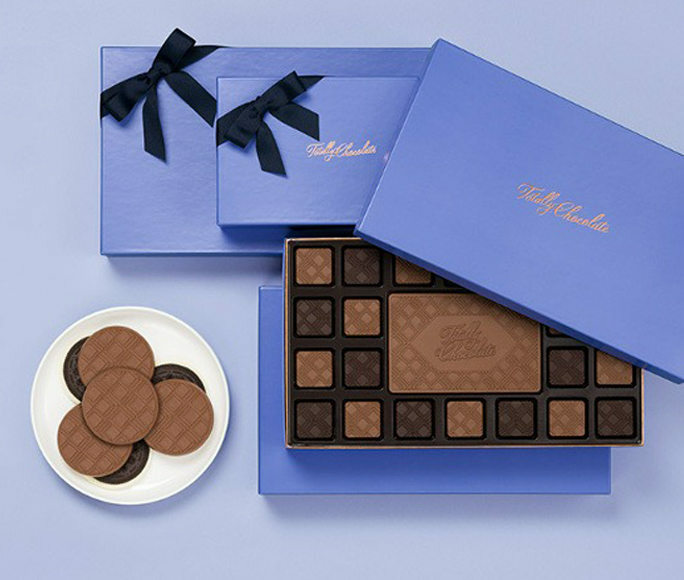 That’s also why we have special pricing for bulk orders, which comes in very handy if you are planning to use chocolates for a wedding favor or invitation (or both!). 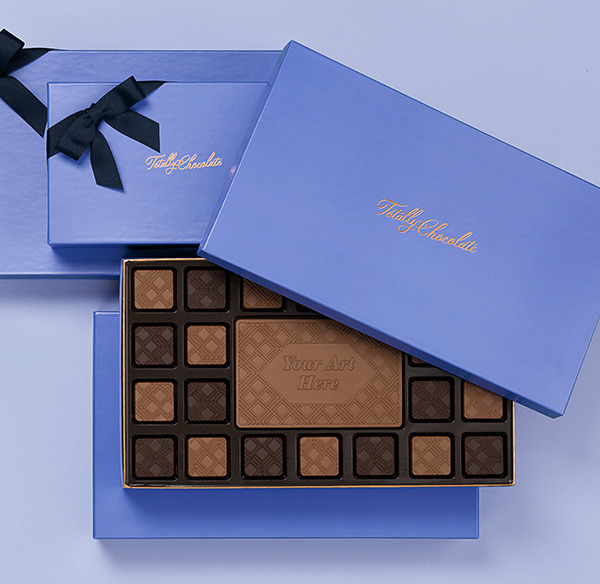 Who knows… maybe you’ll want to even send your thank you cards in the form of chocolates. 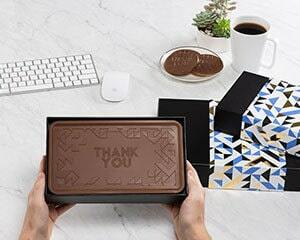 Nothing says “thank you” like a decadent bar of Belgium milk or dark chocolate. Contact us for our bulk order pricing and how we can help make your idea a reality. We have served weddings large and small, and with every type of theme imaginable. 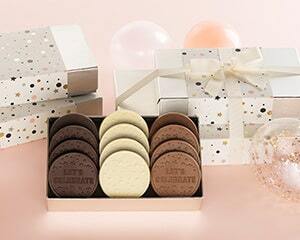 From rustic to high glam to New Year’s Eve weddings to surprise weddings. We have a solution for every budget! There is no challenge we can’t meet. In fact, we love helping our happy couples pull off something totally creative and imaginative. Our very special and friendly staff is standing by to bring their decades of experience and knowledge to your unique ideas. Like we said, we love hearing about new ideas or challenges we can tackle and bring to life. Peruse our site to see if there is anything that jumps out at you, if not let us know exactly what you are thinking and we will see if we can find the right fit for you. There are some many things that we can customize to help make your wedding unique. 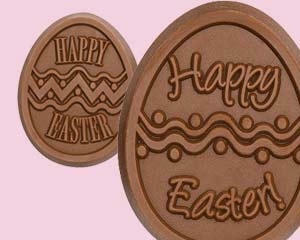 From the type of chocolate, to the treats that accompany it, to the packaging in which it comes. We will make sure that your order arrives to you in perfect condition in time for the big day. It’s an honor of ours to be a part of people’s special wedding day, and it’s a task we don’t take lightly. 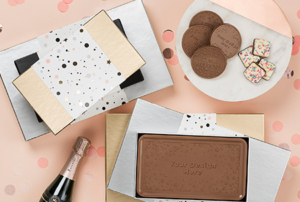 If you are looking for that something extra special to set you apart from the rest, and to give your guests something truly unique on your wedding day, contact us at Totally Chocolate. We will help bring your vision to life!